WORKSHOP DESIGN: Suggestions to consider for various sized workshops. As you read, complete the Arts Integration Framework timeline template to explore how the flow of your workshop might best incorporate the Components. A presentation at a school faculty meeting, an after-school workshop or as part of a school-based residency. Credit-based courses, PD/Residency combinations or a co-teaching/collaborative residency model. PD experiences that are a half-day or less in length can serve different purposes depending on the context of the session and the purpose and learning targets of the teaching artist. If the purpose and targets are narrow enough, such short experiences may still be sufficient for participating classroom teachers to learn a specific arts integration strategy or protocol that can be adapted for a variety of purposes in their classrooms. Alternatively, these shorter PD experiences may be used to give participants a taste of the diverse possibilities of arts integration, and to generate curiosity that powers interest in future learning. Experiences that spark curiosity, coupled with resources that support more in-depth exploration, can provide an impetus and pathway for inquiry around arts integration. Shorter PD experiences benefit from being tightly focused. The elements presented in this framework will hopefully all still come into play, but may be leaner in form. Learning Targets or possibly just a singular Learning Target, ideally related to a school Context, can help the teaching artist stay focused on a manageable plan for this short timeframe, and will help participants quickly orient themselves as learners. Purpose might be established with just a quote, or a short video clip of students engaged in an arts-integrated learning experience. Design your workshop as you hope classroom teachers will design their own lessons, modeling best practice in reflection, facilitation, assessment and other components. 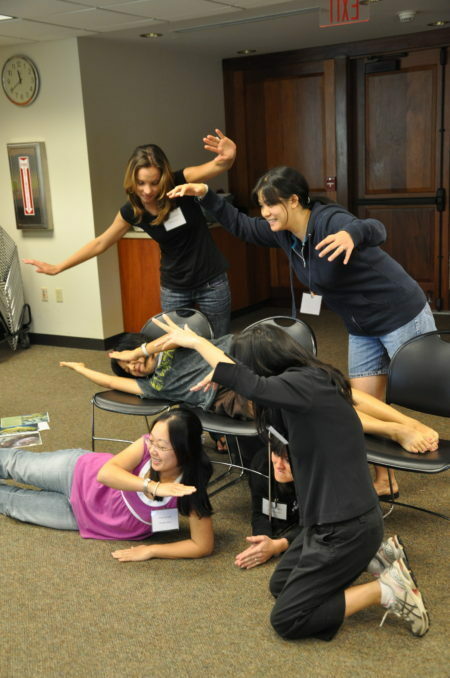 While it can be tempting when time is short to fall back on didactic approaches, participants will be better able to assimilate and implement new ideas if they have the chance to Experience arts integration as learners, and to immerse themselves in Arts Content, in which they have the opportunity to experiment and express themselves creatively. Brief pair-shares can provide participants with opportunities for Reflection on these experiences, a chance to consider approaches to Facilitation, and moments to start to Plan how ideas from the PD experience might be adapted to their own classrooms. Looking at one or two examples of student work, and discussing the learning that is evident in this work, can provide a model for how teachers might Assess their students’ arts-integrated work. 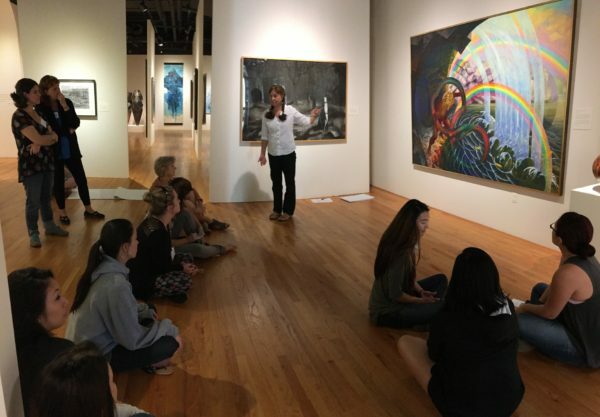 Short PD experiences that emphasize depth over breadth can provide a memorable encounter for participants and create momentum for future learning in arts integration. Such PD experiences offer the opportunity for in-depth work, through which classroom teachers have time to develop enhanced understanding of, and skill with, the art and arts integration strategies. If connected to a single school or complex, a clear Context can be defined to help make the experience relevant and of immediate use. Significant time can be given to interrogating the Purpose, Learning Targets and Arts Content, through multiple Reflection sessions so that classroom teachers can identify how such an arts integration learning experience connects with their own practice and classroom curriculum and enhances both what and how students learn. Teachers can practice Facilitation, as they guide their peers through simple integrated experiences. The teaching artist can provide sample student art work through writing, pictures and video, to help classroom teachers understand how to Assess student achievement with and through the art. Time could allow for the teaching artist to conduct a Demonstration lesson with an actual group of students, helping classroom teachers experience the tangible results of such a session. Time could also allow for the teachers to Plan how they might apply what they learned in the PD experience, imagining their first application of an arts strategy, writing a simple lesson, discussing their ideas with the other teachers, and receiving feedback and pointers from the teaching artist. Such time allows the teaching artist to build classroom teachers’ understanding and appreciation of, as well as skill with, arts integration to increase the possibility that they will feel prepared to apply and sustain the work in their own classrooms. PD courses that take place over time open up space for learning through action within real classroom contexts. Components may be paced over time, with planned practice occurring between meetings. Before the course begins, the teaching artist gathers information about the Context of the participants and their settings. On the first day of a course, a teaching artist might introduce Learning Targets, followed immediately by an arts integration Experience. Following that experience, teachers and teaching artist co-construct the larger Purpose of the work at hand. The teaching artist might involve teachers in a second arts integrated Experience, this time focused on Arts Content, and Reflection that allows them to notice aspects of facilitation, brainstorm adaptations or accommodations, and ask question about application. Participants leave the first day with a modest task to complete to get their feet wet within their own classrooms. In an ideal situation, the teaching artist would also follow the first learning experience with a visit to each of the teachers’ classrooms for a Demonstration of the strategies with the participants’ students as they do a focused observation. When classroom teachers return for the next course meeting, perhaps a month later, they will have several experiences to stir in to their Reflections. They may debrief their inter-session practice by discussing what surprised them, what worked, what they struggled with, and how their students reacted. The teaching artist will track and directly address the teachers’ questions throughout the second and third meetings. In the second meeting, the classroom teachers might deepen their understanding or focus on a different aspect of the Learning Targets, but the teaching artist does not introduce new learning targets. Classroom teachers will again Experience arts integration and Reflect on those experiences. This time, there may be more time allocated for the practice of Facilitation and Assessment, as teachers practice prompting, coaching, and guiding each other. Again the participants leave with a task, this time to facilitate a specific strategy or arts integrated topic. Ideally, the teaching artist is able to engage in a Coaching session, observing each classroom teacher try the new arts strategy within their own classrooms. Classroom teachers might also explore how to collect evidence of student learning. After another several weeks, classroom teachers gather for a third and final session. They bring with them artifacts of student learning to help them develop Assessment feedback. Again, Reflection plays a key role as they discuss their inter-session practice, exchange grade-level design ideas, and support each other with suggestions and extensions. The teaching artist may introduce very little new content, but may structure more Facilitation practice. This final day may also include an opportunity to plan and engage in peer exchange through a Planning session. Finally, participants Evaluate their PD experience through both discussion and written evaluation protocols. When developing an AITS grant, query the school about the teachers’ experiences in the arts to date, and through what subjects they might desire to apply an arts integrated approach. This will help define a Context for the required PD experience. The Learning Targets and Purpose can then reflect that context, helping make the PD experience as relevant and useful as possible for the teachers. Design the PD experience to incorporate Art Content that will also be used in the classroom residencies, so teachers can Experience the approach in the workshop and observe Demonstration in the classroom residency. Schedule the PD experience early, so teachers have plenty of time to relate their learning in the workshop with what they observe in the residency. Invite teachers to lead an activity or co-teach during the residency. While not required, the experience will give teachers real-world Facilitation practice. Invite teachers to assist with Assessing the students, so they can practice how to recognize student achievement through the art form. If a PD experience occurs during the residency, guide teachers to Reflect on what they noticed about student learning, as teachers are most likely to sustain the work when they see tangible results in their own students. If it is a brief or single PD experience, guide teachers to discuss possible ways to implement the work in their own classrooms. If more than one PD experience is possible, allow time for teachers to Plan their own lesson.